It’s hard to imagine good news emerging from environmental chaos in Brazil and warfare around the globe, but a team of refugees competing at the Olympics in Rio de Janeiro this month stood in the spotlight on Tuesday, and took the opportunity to urge compassion for displaced people worldwide. 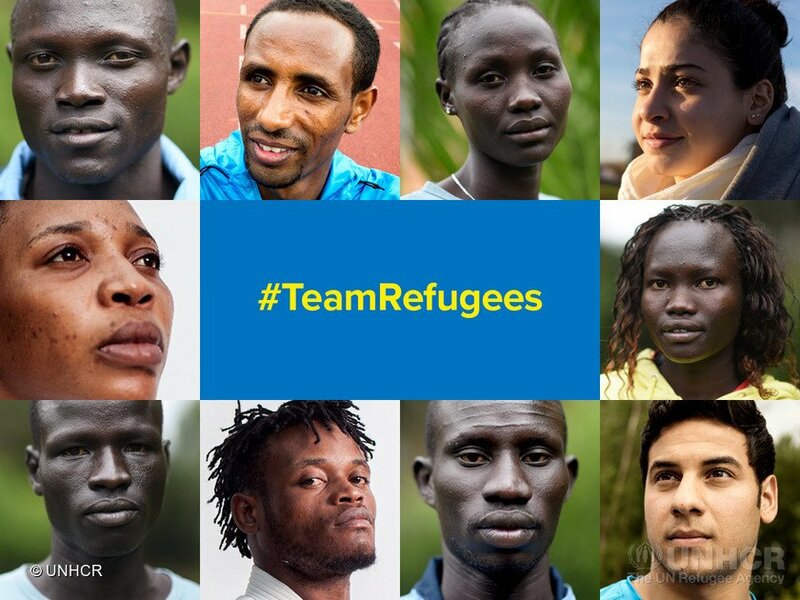 The 10 athletes on the first-ever Refugee Olympic Team (ROT) were given a standing ovation as they joined the International Olympic Committee (IOC). Yusra Mardini, a Syrian swimmer, said this year’s games make clear that people displaced from their home countries can still contribute to society—countering an argument that has been waged by rightwing opponents of open borders. Mardini’s story came to public attention in March when she was identified by the International Olympic Committee as a candidate to compete on a new team of refugees, made up of athletes who are stateless or would otherwise be excluded from the Games. She was thrust into the spotlight, celebrated by the news media as a fresh-faced example of Germany’s so-called welcome culture—a story of uplift at the center of the global refugee crisis. Fans can follow the ROT’s stories on Facebook, Twitter, and Instagram. Their live blog is here. This entry was posted in Human Rights, Human Spirit, International Agreements, Living Examples, Refugee Issues, Solidarity and tagged Democratic Republic of the Congo, Equality, Ethiopia, Human rights, Human spirit, International Agreements, Olympic Games, refugees, Solidarity, South Sudan, Syria on August 6, 2016 by ew.